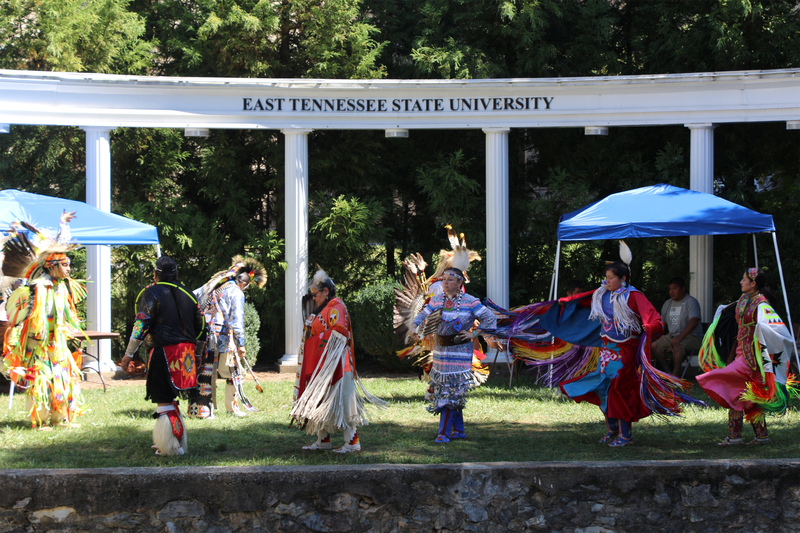 This weekend, the ETSU Office of Multicultural Affairs hosted its third annual Native American festival. ETSU students were excited to see the festival’s return. According to the Office of Multicultural Affairs, the overall goal of the event is to inform and educate students of the Native American culture and its values. 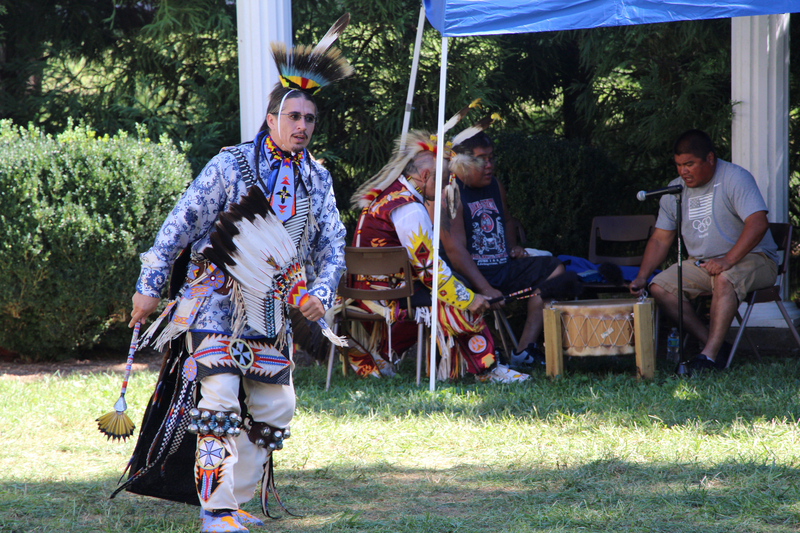 Cherokee culture is still very prevalent in the East Tennessee, and was a large part of the inspiration behind the Native American Festival. 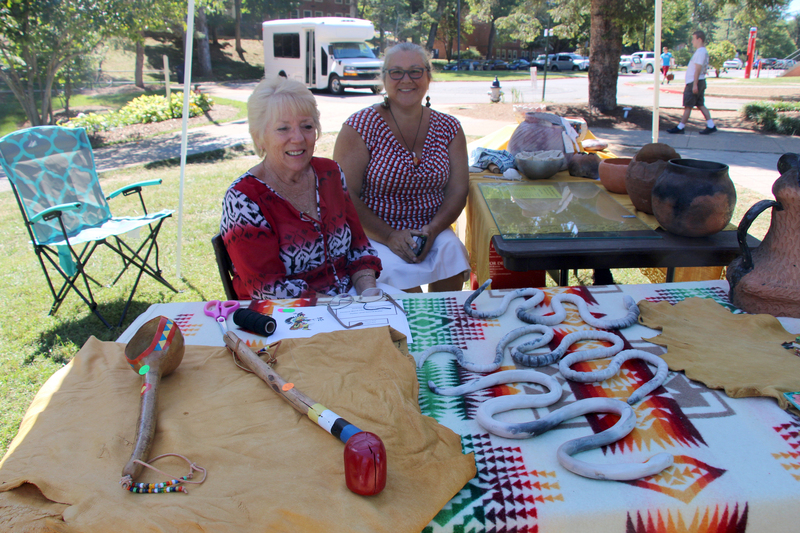 At the festival, members of the Native American community were able to showcase and celebrate their values and lifestyle through traditional Native American dress and regalia, traditional dancing, handmade jewelry and pottery, woodcarvings, storytelling and live music. Blue Storm, a group of singers and drummers, performed on Friday. 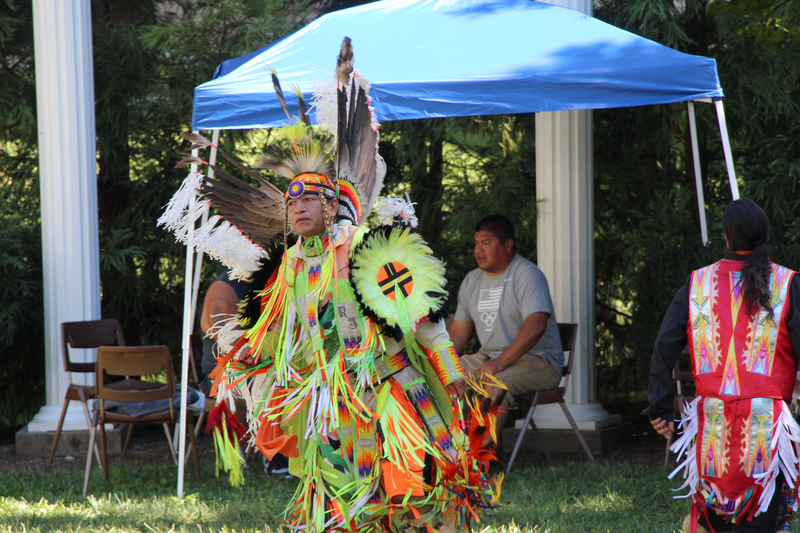 While all of the events that were happening during the Native American festival are beautiful to observe, the importance lies in the lessons and culture behind it. The performances during the festival not only showcase traditions at large, but also aim to show the varying differences between tribes from different regions. After one performance, the MC explained the difference between traditional northern and southern regalia and music composition. Lowery continued, emphasizing the importance of eliminating the stereotypes surrounding Native American culture. Dakota Parker, who showcased her pottery, provided a little background on her inspirations and connections to the Cherokee Native American culture. The music and storytelling came from personal experiences and family tales. Storyteller Terry Shin spoke about Buffalo Mountain and told spoke about how its name originated from the buffalo that would to roam the mountains hundreds of years ago. After listening to stories and music, sophomore Michael Grey felt like he could relate with the culture on a more personal level. “At the heart of the festival, you could feel this connection to nature that they felt while they were performing,” he said. Overall, ETSU aims to celebrate all cultures in order for students to become more aware of traditions across the world.